Amazon.com description: Product Description: Tomas Bulfinch's wonderful and accessible retelling of the myths of classical antiquity and the fables of the age of chivalry has been renowned for almost 150 years as a rich panorama of gods, goddesses, and heroes, of crusading knights in the Holy Land and outlaw archers in Sherwood Forest. With an introduction by the eminent historian Michael Grant, the selections resented here offer lively versions of the legends of the Trojan War and the epic homeward voyage of Ulysses, the story of King Richard the LionHearted, and the tales of Robin Hood. During his distinguished career, Michael Grant has been a fellow of Trinity College, Cambridge; professor of humanities at Edinburgh University; vice- chancellor of the University of Khartoum; and president and vice-chancellor of the Queen's University, Belfast. Among his many books are Myths of the Greeks and Romans, Founders of the Western World: A History of Greece and Rome, and Greeks and Romans: A Social History. 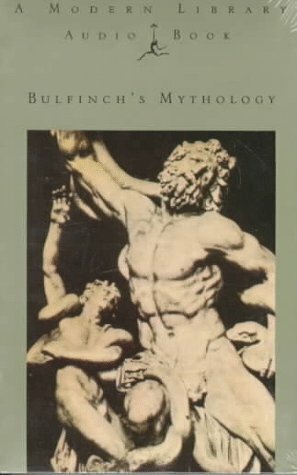 Bulfinch's Mythology is also available from Random House as an unabridged Modern Library book.